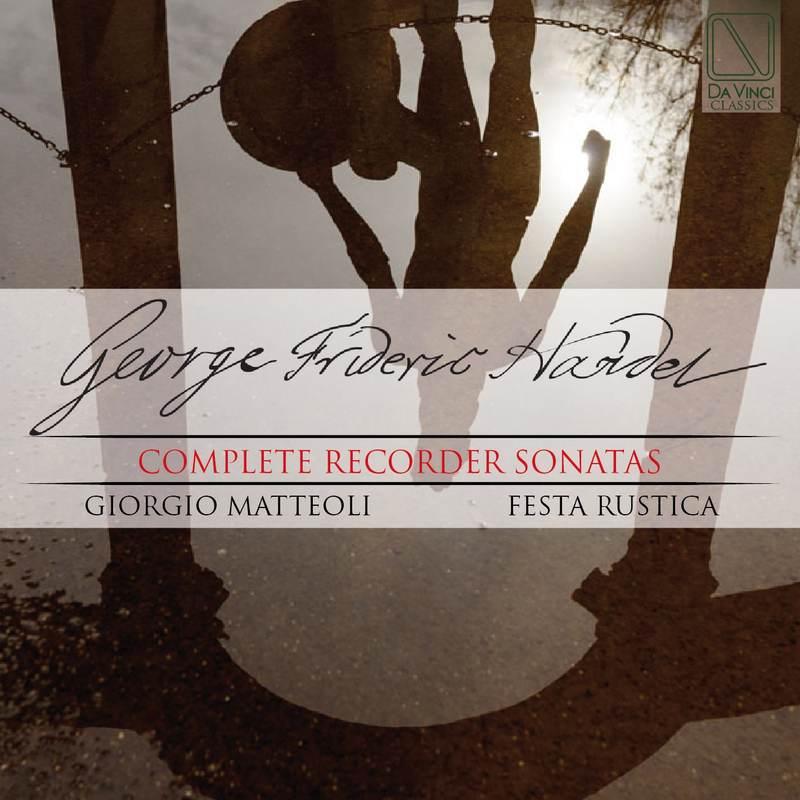 Written between 1724 and 1726, the six George Frideric Handel’s Recorder Sonatas are nowadays part of recorder’s great repertoire and one of the highest levels of Baroque Sonata. As incisive combination of vocal theatre experience and instrumental writing so well assimilated by Arcangelo Corelli- the 6 Sonatas appear to be actually the connection between the instrumental and the vocal writing style of the period. They take advantage of all the recorder’s features avoiding those recreational parameters to which these compositions were usually subjected to satisfy the client. And this actually is one of the most unclear issues. Matteoli, Giorgio (Conductor & Recorder), graduated in recorder, cello, chamber music with a degree in Music History at Rome “La Sapienza”. He worked with several early music ensembles (“Ensemble Aurora”,“Cappella di San Petronio”, “Alessandro Stradella Consort”, the french “Ensemble La Fenice”, “Academia Montis Regalis”…) concert institutions (RAI Rome and Naples Radio-Television Orchestra, “Orchestra Verdi” Milan-Italy, “ORL” Rome and Lazio chamber orchestra, “Festival de musique sacré de la Chaise-Dieu” Haute-Loire France ….) Italian and foreign theatres (Teatro Campoamor, Oviedo-Spain, Opera Theatre Ente Concerti Marialisa De Carolis”, Sassari-Italy …) both as a cello player (obbligato and continuo), and recorder solo player. In addition to the numerous concerts performed in Italy and other countries (France, Spain, Albania, Montecarlo, Israel, Japan…) Giorgio Matteoli with his Baroque Ensemble has produced several recordings for Agorà, Musicaimmagine, ASV Gaudeamus. His first worldwide recording of Francesco Mancini’s recorder concerts for recorder and strings (CD Musicaimmagine Records MR 1004) obtained several positive feedbacks from national and international critics and according to the American magazine “Fanfare” is one of the world’s best classical music recordings produced in 1995 (“the want list 1995”). After that Matteoli has discovered, recorded and performed on original instruments all over Italy and Europe unknown music from the 17th and 18th Century.